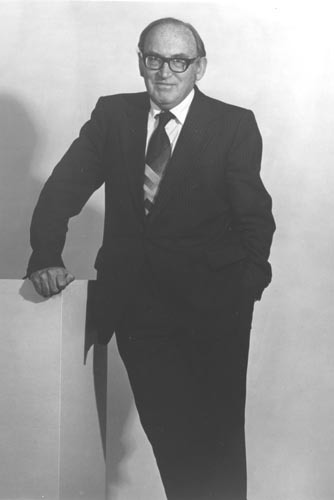 Black and whiteimage of a full length portrait of Maurice Wilkes. He is standing with his left hand resting on a white box. He is a Lecture Professor at Cambridge University, England and was the designer of the EDSC.